Solar Prices Are Reaching Record Lows. Sub-Saharan African governments and foreign direct investors are developing policy frameworks, goals, and financing mechanisms, to diversify their generation mix. While gas and hydropower will continue to dominate sub-Saharan Africa’s power generation mix, particularly for baseload power utilization, solar capacity is expected to increase as a major power resource as technology prices continue to fall and solar tariffs become increasingly cost competitive with other thermal and renewable resources. Also, rapid advances in battery technology and storage business models are likely in coming years to make solar plus storage a viable baseload option at scale. By 2030, solar is projected to become one of the least expensive new energy sources in sub-Saharan Africa as investment climates improve, procurement processes become increasingly transparent and competitive, and demand continues to rise. Competitive Procurement Drives Down Prices. One of the critical drivers of the historic solar price declines has been a global uptick in the use of competitive procurement processes. On average, the price of solar in a market drops by 35–50% when a country switches from feed-in tariffs or negotiated deals to the use of competitive auctions. Bloomberg New Energy Finance (BNEF) projects that over 80% of global solar energy capacity will be procured through competitive procurement in the next 10 years. Markets as diverse as the European Union and the Philippines have recently mandated that competitive tenders be used for all new renewable energy capacity. 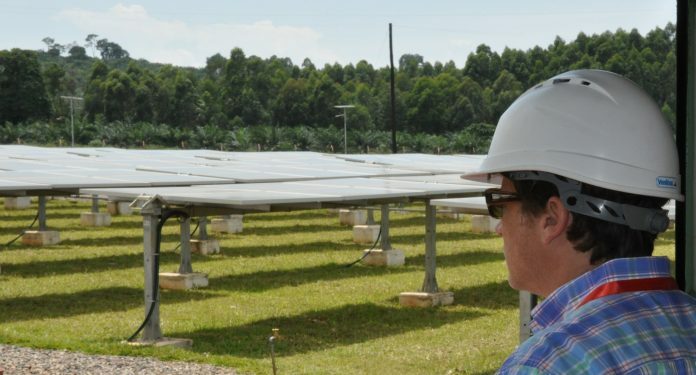 There has been incredible progress made on competitive procurement in Africa, through efforts such as South Africa’s Renewable Energy Independent Power Producer Procurement (REIPPP) program and the World Bank and International Finance Corporation’s (IFC) Scaling Solar program, with prices as low as $.05/kilowatt hour (kWh). Yet Africa lags well behind the rest of the world in the adoption of competitive procurement practices for renewable energy projects. For this reason, it is difficult to replicate tariffs from country to country without taking into account how low bids are achieved respectively. Competitive Procurement Is Not the Only Answer. Over the past five years, and by following a purely demand driven approach, the majority of the 95 power projects Power Africa has supported and that are under construction (or have been built) have involved negotiated deals. 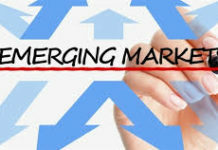 The competitiveness of Africa in the global renewable energy market, improvement of the economic sustainability of Africa’s electricity sectors, and future robust economic growth of the region demand a phased transition to competitive procurement practices across the entire region in the coming years. Building Investor Trust Drives Down Prices. While capturing low power prices is a top priority, African governments must also respect legally binding contracts. Canceling power purchase agreements (PPAs), particularly in countries with a limited track record of private sector investment, can increase the risk profile of the country and affect future energy prices. Africa is not alone in considering how to best reconcile existing PPAs that far exceed current market prices, financially non-viable electricity sectors, and a desire to build investor trust. France recently announced that a number of off-shorewind PPAs would be canceled or re-negotiated as a result of historic off-shore wind price declines in the past year. Analysts are questioning what the future impact of these actions will be on France’s investment risk profile. Scaling Solar and Power Africa. The Scaling Solar program works with African governments to quickly design and compete solar power projects. 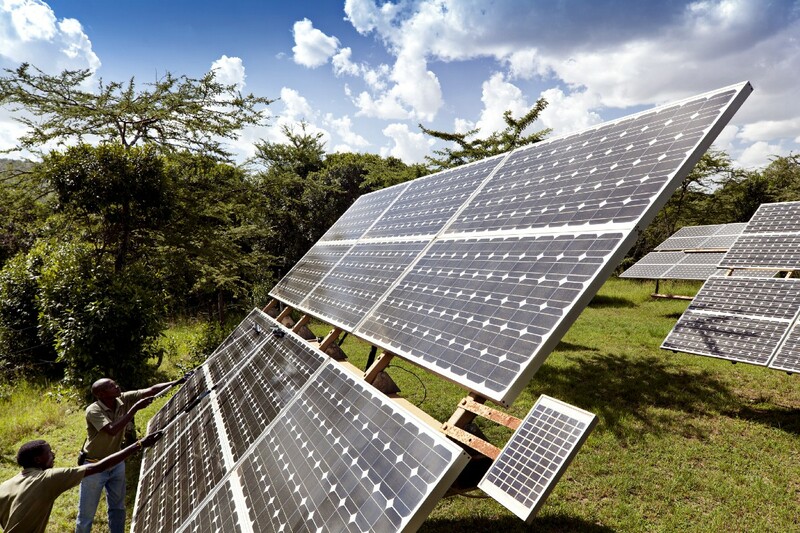 The U.S. Government’s Power Africa program, coordinated by the U.S. Agency for International Development (USAID), has provided support to Scaling Solar because Power Africa’s Roadmap includes an aim to add thousands of new megawatts (MW) of solar power by 2030, and we saw an opportunity to quickly and sustainably meet this aim in different regions of the African continent in partnership with IFC-Scaling Solar as the program works to establish solar competitive procurements in Zambia, Ethiopia, Senegal and Madagascar. We’ve been thrilled with the success — $.06 per kilowatt hour (kWh) prices being offered in Zambia and recently $.05/kWh solar offered in Senegal. This progress has been transformational considering many companies were proposing solar power at rates above $0.20/kWh just five years ago when Power Africa was launched. It is important to note that under Scaling Solar, the countries themselves have chosen to offer packages that include credit enhancements, technical assistance, concessional financing, and other incentives to help achieve these prices. We need to be realistic regarding the enabling environment reforms that must be achieved for many African countries to realize world record pricing of sub-$0.04/kWh solar seen in many other emerging markets. Given a host of circumstances that increase risk, many African countries will receive higher bids, and expectations should be managed. Nonetheless, the sooner countries embraces global best practices for competitive procurement, the faster the continent can fully realize the global price trends and establish the transparent procurement environment demanded by international investors. The switch to competitive processes can take some time. As a result, Power Africa supports both competitive and negotiated deals with financing (i.e.,grants, loans, debt guarantees), advisory services, legal and technical assistance. As such, Power Africa has a unique lens into Africa’s dynamic power market — there is a dire need for governments to read beyond the headlines of extraordinarily low solar tariffs, and ask the hard question — how are countries attracting such low prices? They need to ensure that the ultimate development goal, eliminating energy poverty, is met with a comprehensive approach: in particular, implementing critical enabling environment reforms, improving the financial viability of the sector, and strengthening the transmission, and distribution systems, are top priorities so that people and industry can get reliable, low cost electricity more quickly. Not All Markets Are the Same. Country-Specific Forces Affect Prices. The costs of doing business vary from country to country. South Africa did not arrive at inexpensive power prices for renewables overnight. The REIPPP office issued the first request for proposals in August 2011 (i.e., specifying what the power needs were and inviting low-priced bids), and prices came down with each subsequent round as the government learned more about the market and refined its processes and policies, as the enabling environment matured, as investors gained confidence, and as the price of solar panels came down. South African government officials now have extensive experience with renewable technologies, and most importantly, the cost of capital to invest in South Africa is much less than in most, if not all, countries in sub-Saharan Africa. Several of the 27 most recent renewable projects signed are priced in the $.07-.08/kWh range (REIPPP Round I-2011 bid cap was well over $.20/kWh). Given South Africa’s political economy, credit rating, and enabling environment, the cost of doing business is less than the cost of doing business in Nigeria, for example. 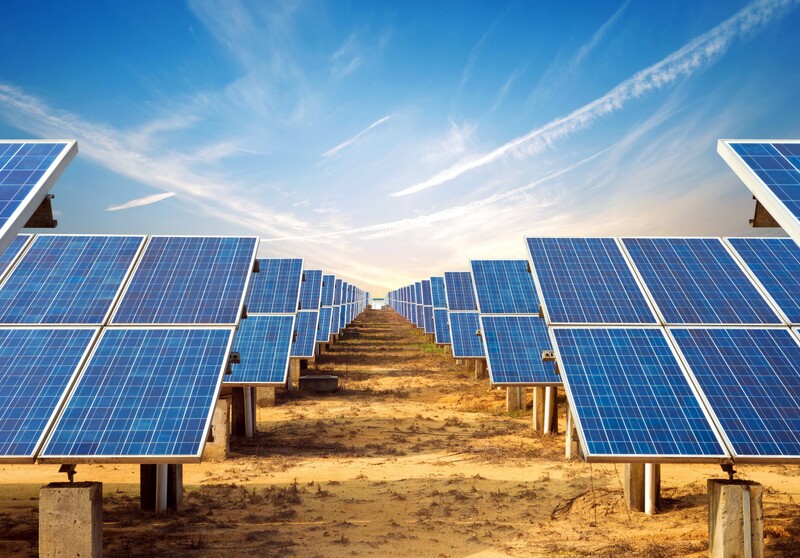 The market will not price a 100 MW solar project near Cape Town in South Africa the same that it would price a 100 MW solar project in Nigeria’s Delta region where security issues, a recession, and financially struggling power sector institutions drive up costs. The countries where Scaling Solar has been successful in securing low bid prices — Zambia and Senegal — also have different economics, enabling environments, and political structures that are helping each country realize low solar tariffs. Blended finance (concessionary and conventional financing schemes, coupled with subsidies and grants) is playing a role in achieving low tariffs. Governments must analyze solar prices against the macro-economic forces and other aforementioned factors to get to a realistic range of the actual cost to finance and deploy solar power. Your Country’s Reputation Could Be On The Line — And That Costs Way More Money Than You Think. The South African government was under pressure from some groups to renegotiate the prices on the 27 renewable power projects recently signed, in part because those groups had thought that the prices should be even lower. To the credit of the South African government, it honored the previously negotiated prices. The South Africans also recognized that project developers had invested millions of dollars in development costs that would not be recovered if these projects did not move forward. It is possible that South Africa might have saved some money on some of these particular projects over time by trying to negotiate down the prices, but the South Africans rightly concluded that they had a legal obligation to move forward AND the cost of alienating investors across many sectors simply comes with a significant cost to the overall economy. Cost depends on what factors matter most to a country — procurement method, local participation, the cost of capital based on the country’s risk profile, the size of projects and technologies deployed, the quality of the renewable resource, equipment costs, perception of risk, tax incentives and other subsidies. Because of South Africa’s decision, the country will continue to attract some of the world’s highest quality, most reputable international investors — who bring with them the lowest cost of capital. Such investors might include pension funds, who sometimes are willing to receive a lower rate of return than private equity investors, which will drive down the cost of investment in not just the power sector, but in many sectors, in the future. That benefit will accrue to the customer. On the other hand, in those countries that choose to constantly move the goalposts just to get the lowest price, they likely will attract, let’s just say it, opportunistic “fringe developers” without strong track records of successful project implementation, who are willing to cut corners on quality to bring down costs, and who may not comply with international social, environmental, labor, or good governance standards. 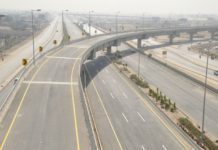 When this happens, there will be a very limited pool of investors willing to back developers to take a risk in the country, which will keep the cost of capital high for years to come and guarantee that, if they’re built at all, weak projects will be built, leaving these countries behind as other countries prosper. Failing to Deliver Sufficient Power Now is Killing Your GDP. How much GDP is lost during those years when not enough power is produced? When introducing its Power Sector Recovery Plan in March 2017, the Nigerian Government estimated a $29.3 billion annual loss to the Nigerian economy due to poor power infrastructure. If governments don’t act quickly, the already weak utilities will keep losing their best customers — industry. Power Africa strongly encourages countries to pursue competitive tendering to enhance transparency and get the best prices, and we are supporting competitive processes across the continent through Scaling Solar, the U.S. Trade and Development Agency’s Global Procurement Initiative, and other programs. We all must face the practical reality, though, that competitive tendering takes time. In many countries, reputable companies have proposed to build reasonably priced power projects and are ready to get to work now. A solar project can be built and start producing power in 14 months, as Gigawatt Global and Scatec Solar did in Rwanda — the very first Power Africa project. They signed their PPA in July 2013 with full interconnection taking place in September 2014. Can my country get Solar Power at $.05/kWh? How many Presidents and Finance Ministers have seen a headline about low solar bids in another country and have turned to their Energy Ministers and said “I want that cheap power. Why can they get it, and we can’t?” Low solar prices are the result of several factors including competitive procurement, quality renewable resources, and low or mitigated risks that reduce the cost of capital. Other examples of government incentives include waiving taxes or licensing fees or providing the construction site (no real estate cost!). Development banks and institutions also provide incentives through concessional financing, risk guarantees, grants, and technical assistance. The development institutions, despite best intentions, sometimes distort the market — often in a positive way, but sometimes in a negative way, depending on who is benefiting from the incentive. Any time we provide a grant, we’re reducing the project developer’s costs. There may be times when grants are appropriate from a development standpoint to drive down the price of a project, but it is important to remember that these grants can distort the true market price — especially when the true market price could be passed on to consumers who can pay down the cost of a power project over its 25-year life cycle. It’s likely a better use of limited development dollars to help build critical transmission line infrastructure or train government employees to manage the systems, where there’s less of a private sector profit motive for investment. Subsidizing power projects excessively also can cause harm by establishing a misleading benchmark price of power for one technology which is not replicable, with that benchmark price getting applied to other projects or technologies that may not enjoy those subsidies. These pricing issues threaten to derail otherwise solid, financially viable, market-based projects. Excessive Sovereign Debt and Shortcuts Can Destroy Your Economy. In the search for lower power prices, some governments have turned to an investment model that appears on the surface to offer a good solution: inexpensive sovereign loans to hire inexpensive companies to build power projects, using inexpensive equipment, inexpensive materials, and inexpensive labor. That “package” often comes in exchange for access to natural resources or other financial or political concessions and at the expense of international labor, social, environmental, and good governance norms. While some of these projects result in positive outcomes, each of the elements described above can come at a significant cost. Sovereign loans add to the country’s debt burden, preventing governments from having money to invest in other sectors that do not have a profit incentive such as health and education. Some companies do not adhere to international standards, which can lead to social unrest and permanent environmental damage. They may not employ best engineering practices and may cut corners, which impacts quality. 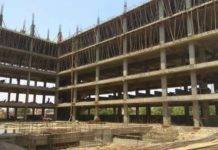 There also are numerous examples of companies failing to complete projects because they run out of money, of inexpensive equipment breaking down quickly, and of governments getting saddled with expensive repair and maintenance costs. Importing cheap labor does little to build a local skills base — especially when operations and maintenance manuals are written in a foreign language. The U.S. Government’s Power Africa program focuses on a different approach: privately funded IPPs coupled with energy sector reforms. IPPs offer a sustainable alternative accompanied by significantly reduced debt burden for the government. IPPs in relatively high risk markets often require some sort of guarantee. A guarantee generally means that a country (or development agency or multilateral bank) only needs to set aside a percentage of the total privately funded loan amount in a reserve fund in anticipation of potential defaults across a larger portfolio. In other words, instead of having to come up with $100 million, plus interest, to pay off a loan to another country for a $100 million power project, a government might need to set aside $8 million in a reserve fund to guarantee anticipated defaults on a $100 million, privately-funded project with an expected default rate of no more than 8%. If priced below system cost recovery levels, IPPs offer countries a path to emerge from debt to multilaterals and other countries and successfully achieve the needed energy and other infrastructure investments their economies need to grow. We All Need to Get on the Same Page. 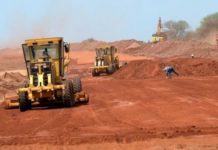 Projects that get built will be fair for African governments and their people when those governments and people are as well informed and confident in managing both competitive procurement programs and negotiated contracts, as the reputable, decent and capable developers and investors they select to work with on the other side. For this reason, Power Africa builds local capacity for Africans to develop, negotiate, own, manage and operate projects themselves. Power Africa’s books, with tens of thousands of copies in circulation in Africa and around the world. Energy ministries across the continent use these free books that international experts, including Africans, with diverse economic interests drafted to pursue transparent, successful, and commercially sustainable private-sector power projects. Power Africa also recognizes the importance of community engagement. After watching a power project get derailed for not having had an adequate community engagement plan in Kenya, Power Africa, along with several of its civil society partners produced a Guide to Community Engagement for Power Projects in Kenya that can be modeled in other countries, as well. 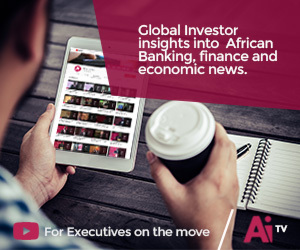 Power Africa also provides funding to the African Development Bank’s African Legal Support Facility (ALSF) to hire top international legal counsel to represent African governments and to train African lawyers in negotiating power deals. Power Africa is helping create a level playing field of information and experience for all sides: African governments and IPP developers and investors. The level playing field creates the foundation for good contracts and high quality projects that will endure. These projects are what will provide, in the long term, the lowest cost reliable electricity for all of Africa’s people and its economy. We are very optimistic that in the 12 years to 2030, we will see PV solar, plus large-scale storage, becoming a mainstay of Africa’s power sector, with competitive prices on a world scale, and reliable power for industry and every individual on the continent. Power Africa currently is the largest public-private sector partnership for development in the world with $54 billion in commitments from 140 private companies, 12 U.S. Government departments and agencies, and 17 bilateral and multilateral institutions. We will continue to work together to find tools to provide solutions as quickly as possible. But we will only be successful if our African government counterparts make quick and sustainable decisions to help the market solve the energy deficit.